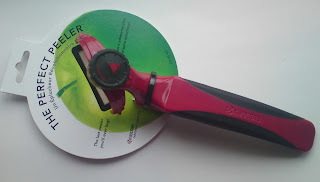 CSN Store Ceramic Peeler Review! Delivery was fairly quick and arrived by UPS. I was out at the time but they left the parcel with my neighbour, I prefer this to trudging down to wait in a line at the Post Office. The packaging can be seen in the picture, not over the top and easily recycled (which is always a bonus). There has recently been a lot of interest in the use of ceramic knives but they are rather expensive. So this peeler appears to offer the benefits without the cost. But does it work? In a word, yes! Both Anne and I put the peeler through it’s paces and it’s hard to believe that a peeler could get two people so excited. It literally glid across carrots, potatoes and even a squash! Hardly any pressure was required, infact if you applied pressure you lost a chunk of vegetable. 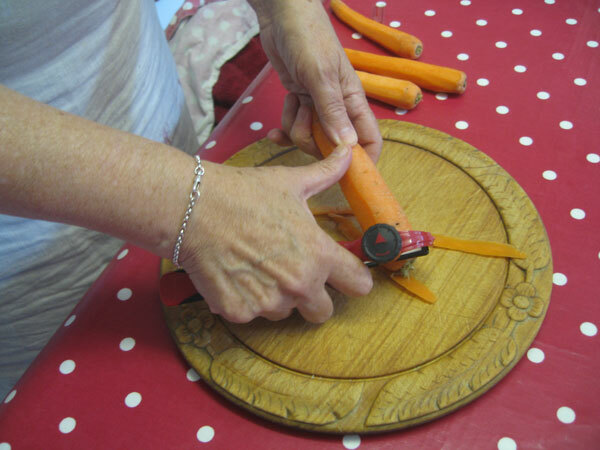 You’d think a peeler might be dull, but this one is so quick and effort free you can’t help but love it. The rotating head also means you can adjust it perfectly depending on the job. Did the chocolate moulds work? Yes they worked very well. 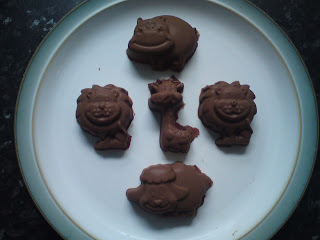 They are quite deep moulds and we filled them with milk chocolate, but as you can see from the following pic I think they came out quite well. The children were certainly impressed! Would I recommend both items? I would indeed recommend them both. I was particularly impressed with the peeler. I think it would make a very thoughtful gift for someone older or perhaps suffering from reduced hand strength, this would make life that little bit easier. But in truth everyone can appreciate how easy and quick this makes the job of peeling. Both items came from the www.cookwarebycsn.co.uk store, just like last time I was not paid to write this review, but I did receive the items.